Banks and discount houses with non-performing loans above 10 per cent will no longer be allowed to pay dividends to their shareholders. 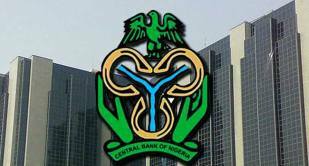 The Central Bank of Nigeria gave the directive as part of measures to curb the increase in non-performing loans and to stop further erosion of the capital base of the banks. The directive comes about a week to the release of the 2017 financial year’s annual reports by commercial banks and discount houses in the country. Data from the apex bank puts the banking industry’s non-performing loans at 15.18 per cent as at September 2017. Meanwhile, transactions in the fixed income and currency markets declined to N11.71 trillion in January 2018, from N11.86 trillion in December 2017. According to data from the FMDQ OTC exchange, the treasury bills market accounts for 39.24 per cent of market turnover as against 35.26 per cent in December. The foreign exchange market also accounted for 37.50 per cent of the total turnover, while the money market was responsible for 16.9 per cent. These three segments combined, contributed 93.64 per cent of the total turnover in the fixed income market. Transactions in the FX market settled at $14.01 billion for the period, showing an increase of $1.15 billion from the amount recorded in December 2017.